The Global oil & gas Pipe Institute was publicly launched as a quality standard for high pressure pipe that uses corrosion resistant materials (exceeding the limits set by the American Petroleum Institute). It was established at the Osaka Institute of Technology on 2 March, 2013, to address the fact that conventional quality standards did not cover situations where high pressure pipe rated with an external pressure exceeding 25 MPa (25 Megapascals) is required. The highest Global oil & gas Pipe Institute standard for 3 1/2 inch pipe is 100 MPa (100 Megapascals). Please note that the GPI standard is not limited to the petroleum industry. It can be utilized by any industry that requires fiber reinforced plastic pipe capable of withstanding extreme high pressure. In fact, the Institute was formed with the express purpose of introducing new standards to account for any situation where pipe manufactured to existing standards would not be up to the task. Fortunately, with new technology, the boundaries are being pushed to make the formerly impossible a new reality. 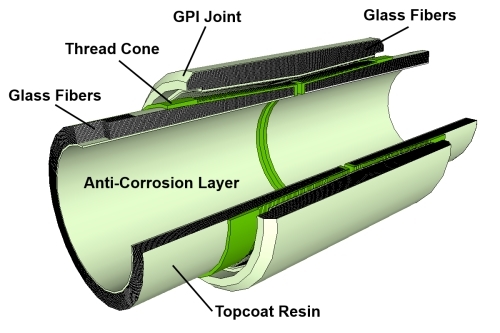 The GPI pipe and joint system have both been designed by Dr. Yoshinori Nishino (our very own President of the Global oil & gas Pipe Institute committee), a leading expert in composite materials - particularly the glass fiber industry, and are the end result of research and development taking place over many years. 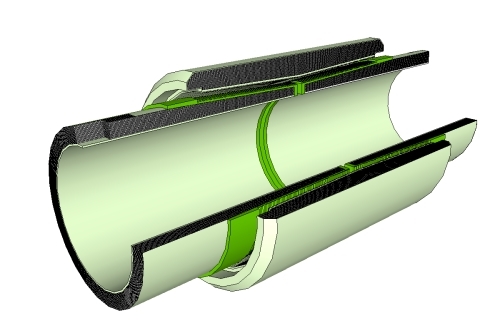 The revolutionary design makes it possible to manufacture stronger and more cost effective components than ever before. Stronger in the sense not only having an initial capability of resisting up to 4 times the pressure stipulated by other industry standards, durability is retained for longer due to the materials used. Unlike steel, fiberglass does not rust. Depending on requirements, GPI Standard Pipe and Joint can be used several times longer than steel with complete confidence. (roughly 1/3 the original strength after 10 years, and 1/5 the original strength after 40 years) That's where "cost effective" comes into play as well. Each aspect has been considered to offer you the safest and most dependable system. We say "system" because it's not just the pipe that is important. 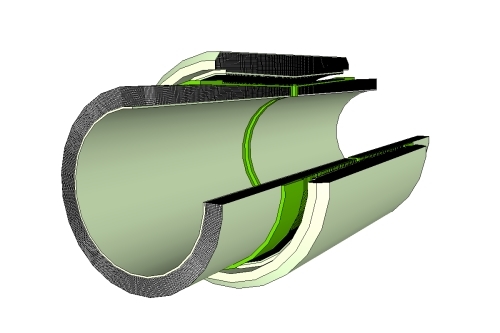 Without the right joint and sealing technology, pipe is like chain, in that it is as only as strong as it's weakest link. 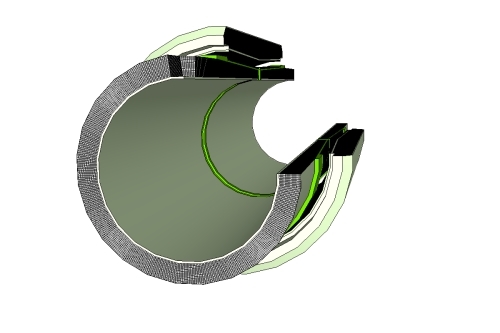 Thanks to the GPI Pipe and Joint System, you can rest assured you are using the safest and most well thought out system available, the "weak link" worry finally made completely redundant. Copyright © 2015 Global oil & gas Pipe Institute - All Rights Reserved.